Memorial Day Weekend is finally here -- and that means it's time to figure out where the parties are in the Hamptons and the city this weekend! As always, we have made a list of the events that will kickoff your summer 2012 on the right note. Make sure to check out our Calendar Page and follow us on Twitter as well! Why: There will be dinner service and a late night DJ throughout the weekend. Why: The premiere screening of the docudrama "Montauk Chronicles" with a Q&A with the director. Why: Sample all different kinds of DIPLOMÁTICO Rum cocktails and wind down to a performance by the Julia Bluestone Quartet. Why: Join RUGBY and GofG for a bite and some fun summer shopping. Why: Celebrate and shop summer styles at C. Wonder's new store in Southampton! Where: East Hampton Studio, East Hampton, Ticketed. Why: Join Dylan Lauren and Ruth Zukerman to benefit the Monmouth County Society for the Prevention of Cruelty to Animals. 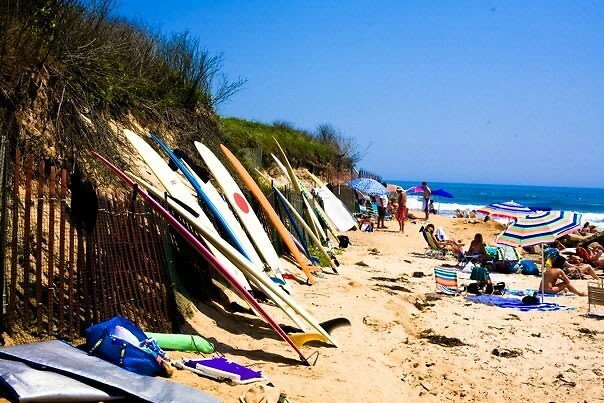 Where: Gurneys Inn Resort, Montauk, Invite only. Why: Sip on some champagne while partying to dBerrie and The Chainsmokers. Why: Join Montauk's seafood spot for special happy hours and drinks. 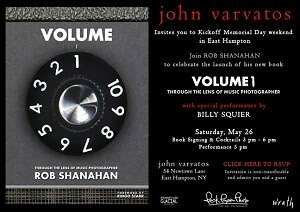 Where: John Varvatos East Hampton, Invite only. Why: Celebrate Rob Shanahan's new book "Volume 1: Through the Lens of Music Photographer." Why: Come party with us and Banzai Burger with sliders, sushi, and of course, drinks! Heineken will also be providing plenty of beer to cheers to the start of summer with. Why: Join for a Memorial Day barbeque, complete with croquet on the lawn and Veuve Clicquot! Where: Ruschmeyer's, Montauk, Invite only. Why: Get "Jacked" and enjoy a special performances by Tanlines and DJ Chelsea Leyland. 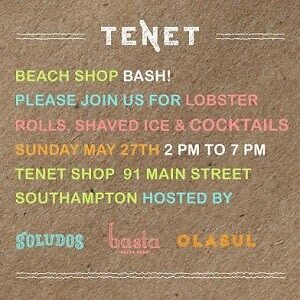 Why: Lobster rolls, cocktails, and shopping -- what could be better? Where: Westhampton Country Club, Westhampton, Ticketed. Why: Enjoy a night of drinks, dinner, and dancing to support Southampton Hospital. Why: Celebrate the new CW show with complimentary cocktails! Why: Join super model Jessica White as she hosts a dinner benefiting the Somaly Mam Foundation. Why: Finish up Memorial Day Weekend with polo and drinks!